Holistic Cardiologist Los Angeles | Dr. Cynthia M.D. Intuitively, Dr. Cynthia has known that she would serve this calling since the age of five, after accompanying her physician mother to the medical clinic in their home country of Myanmar, formerly known as Burma. There, she witnessed the pure hands-on art of healing, free from the modern-day challenges of drugs, bureaucracy, and the threat of malpractice. This experience laid dormant deep within her as she navigated her American life, completed her modern medical training at Harvard Medical School, and subsequently began practicing Western medicine. It wasn’t until the opening of her own wellness center three years ago—where she guided her patients to experience tremendous improvement in their health and well-being through integrative lifestyle practices that focused on nutrition, fitness, and spiritual or meditative practices—that those early childhood memories of the art of self-directed healing were reawakened. Rediscovering her life purpose has inserted authenticity to her work and filled her with joy, energy and spirit. She believes the mind-body connection for health is best served through the practice of being centered and present in each moment. A practicing Buddhist, Dr. Cynthia is on a mission to deliver that message, best outlined in her new book, Your Vibrant Heart: Restoring Health, Strength & Spirit from the Body’s Core. 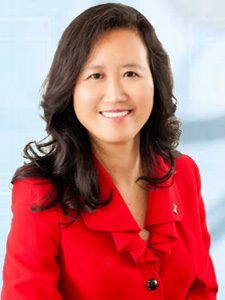 As one of the best holistic doctors in Burbank CA, Dr. Cynthia manages two successful cardiology clinics and is the founder of Revitalize-U, a wellness center focused on health, nutrition, weight loss, and detoxification. Beyond her academic and professional achievements, she is most proud of the praises that she receives from her patients who describe her style of practice as caring, compassionate, service, and excellence oriented. 1997 – “Hemorrhagic Complications of Thrombolytic and Anticoagulant Therapy” – Textbook of Coronary Thrombosis.